Roofs Shouldn’t Look Like This! Anyone who has lived in a home with a shingled roof knows that at some point in time, the roof will have to be replaced. 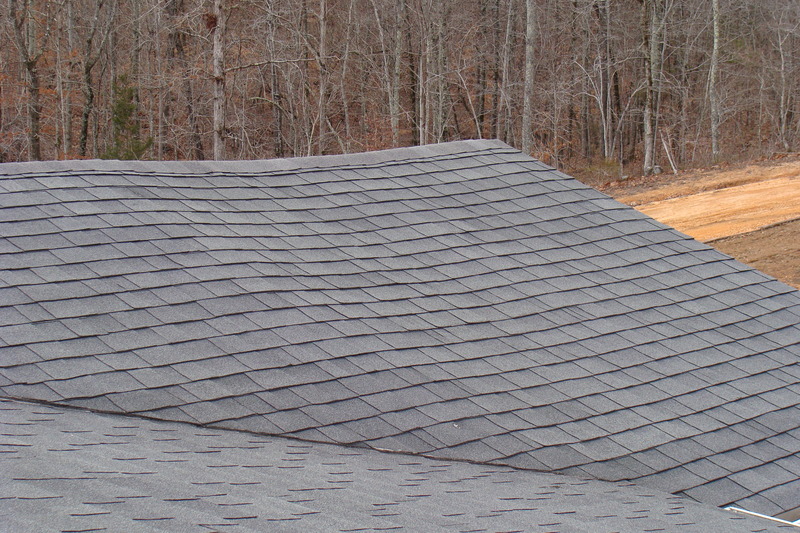 Whether the home is a manufactured (mobile) home or a permanent structure, all of the elements play a significant role in the wear and tear of the shingles. When it’s time to select a roofing contractor, be careful! Make sure that you’re dealing with a reputable company. Ask for references if necessary and check them out. Don’t ever give anyone any money up front because in all likelihood, you’ll never see them again. 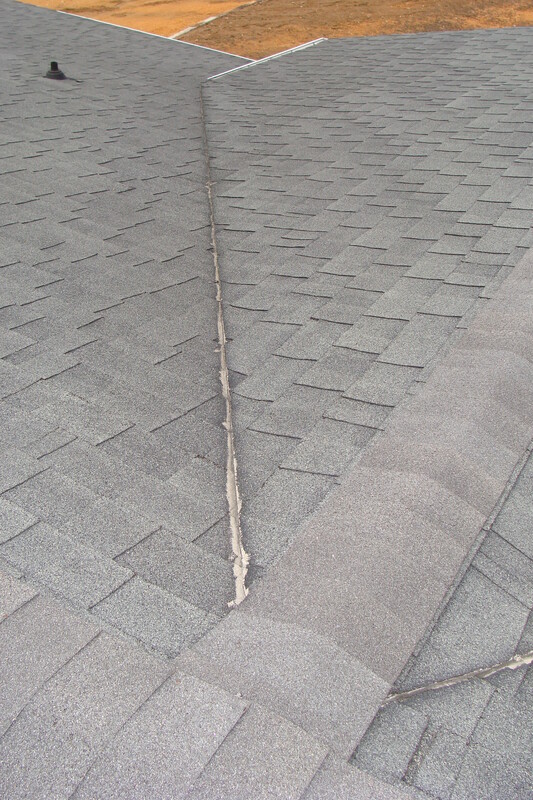 The photos shown below are just two examples of what a newly installed roof should never look like. The first photo shows how wavy a roof can appear if there is a problem with the roof decking. The decking must be repaired or replaced BEFORE the felt and shingles are nailed down. The second photo shows caulking that was applied to valleys alongside a gable because someone recognized a problem, usually water leakage. Using caulking on a newly installed roof is never acceptable. If the roofers didn’t install the valley shingles correctly the first time, the roofer should have to redo the work again. However, getting the roofing contractor to tear off the shingles and then reinstall new ones might be easier said than done. It is possible that a roofer would rather apply a caulking or some type of mastic beneath the shingle rather than re-shingle the area. If this seems like an acceptable solution, again, be careful. If a leak occurs in the future, getting the roofer to fix it under warranty will be next to impossible. One way to test a new roof is to spray water on the roof with a garden hose then check the attic for signs of water leakage. Don’t wait until it rains. The sooner a leak is detected, the easier it will be to hold the roofer responsible if an adversarial situation arises. 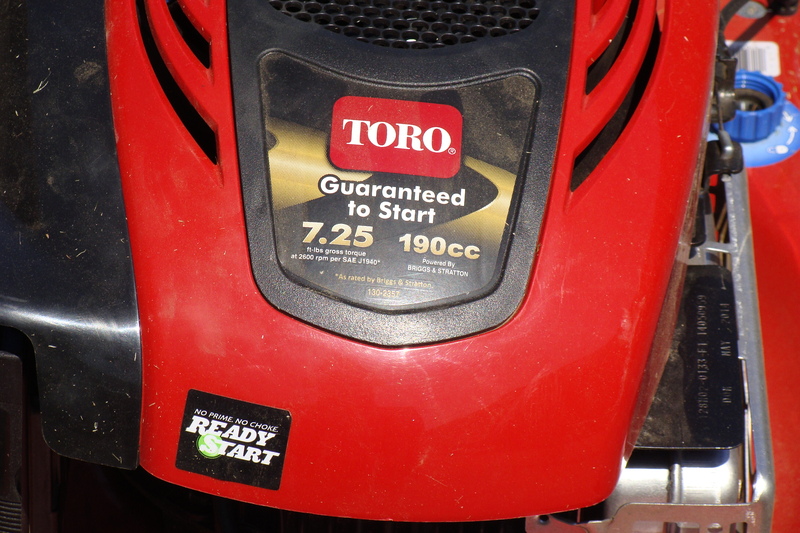 Toro brand lawn mowers have recently come under attack by consumers for producing bad products. Usually I am on the other end of a defective product but, this time I happen to be one of those consumers. 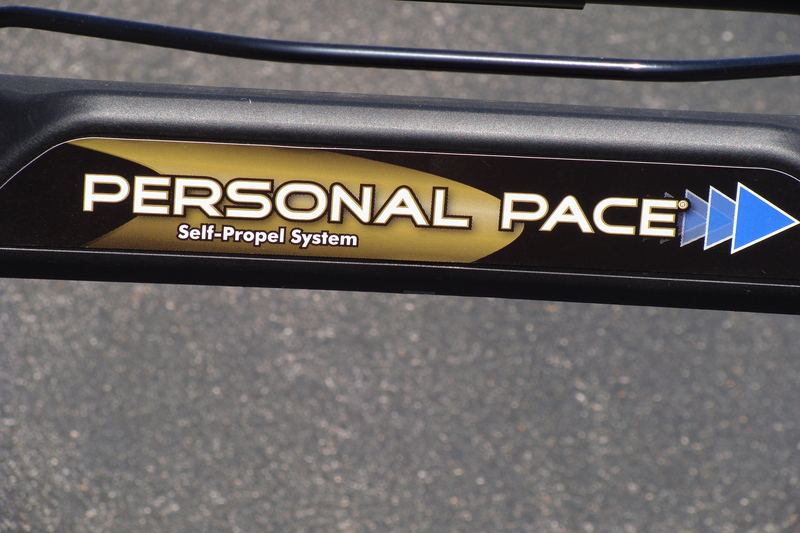 I purchased a Toro “Personal Pace” lawn mower last year and used it with good results all spring and summer. This year, however, we started having problems. Although I could get the mower started, it would visibly shake and shortly thereafter, cut out. If it kept going long enough for me to start cutting grass, no more than a minute into cutting and the engine would die. It just would not continue to run. The mower was taken to a Toro dealer, Southern Lawn and Equipment, where they supposedly cleaned the carburetor and it ran fine for them. Once back home and in the grass, it didn’t take long before it started idling roughly and cutting out again. The mower was returned to the dealer and this time they noticed that the choke was sticking. The choke was adjusted and the mower returned. Once again, after attempting to cut grass, the engine started cutting out again. 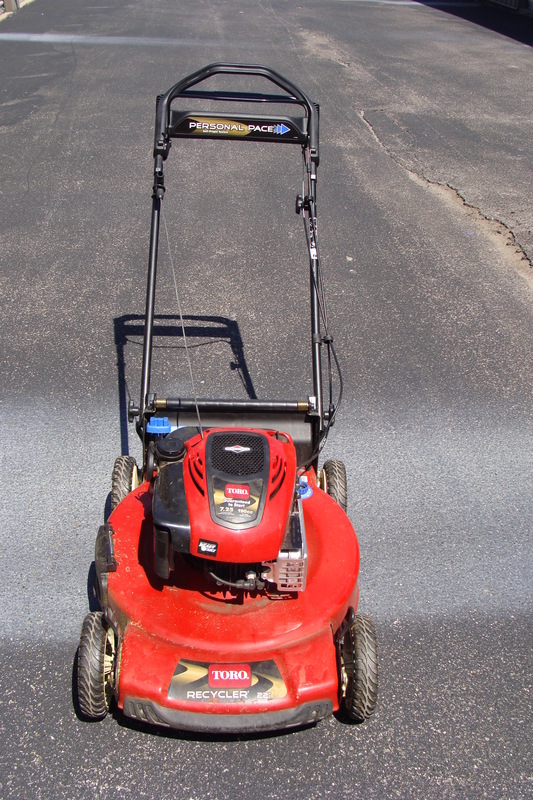 The third time that the mower was taken to the dealer, the dealer decided that the carburetor had to be replaced and that it would NOT be repaired under warranty. It should be noted that Briggs and Stratton warranties the engine for three years and Toro would NOT stand behind the warranty. The mower in question is shown in the photographs below. So, now we have a useless mower. Buyer Beware!